This is a guide to help you find great landscape locations locally and internationally. By going to a location found by using images from other photographer’s you should really head into the space attempting to add your own flavor and spin on the location make it your own. Many of my images are of iconic places such as the Sydney Harbour Bridge or the Brisbane Riverfire but I attempted to add my own interpretation of these places and events. Art is about finding your unique inner voice and using it to react and interpret the outside world. Famous artist’s like Picasso and Van Gogh all were able to do this and it’s these individual voices which have stood the test of time. For me it has always been about COLOUR ! I’ve always been fascinated by the way our minds react to them, the way they react with each other and what colour is. It’s a subject I could study for the rest of my life and not lose inspiration. Taking a great Landscape photograph is a combination of many things including the photographers skill, post-processing technique, gear, time of day, weather, and of course the location! You could use the best everything and get amazing weather but without the right subject your photo will just be good without the WOW factor. You want to be able stimulate the viewer senses in a way such that they might wish they were actually in the scene or get them to draw upon a long forgotten memory of their past. With the invention of media sharing finding these places has gotten that much easier. Things like geo-tags on images pinpoint the exact location and date of creation allowing the world to become an infinitely smaller place to the photographer. I want to share some ways I use to find ‘great landscape locations’ as being in them can help inspire you as an artist. My number one tip is to get ‘Stuckonearth’, which is an ipad app developed by Stuckincustoms (Click here to visit Stuck In Customs) (Link to stuckonearth in itunes) . The app integrates uploaded images from the flickr group ‘Stuck on Earth Community‘ in real time with satellite images from google. The result is an app which allows you to view images and their GPS locations all in the same place. At the time of writing this article the group has over 4,000 members who contribute to the program so there’s a lot of quality material in it, and if you think about it most of them are dedicated photographer’s too. What’s amazing about it is that it lets you find images from the comfort of your own home or on the go when you are out in the field. I’m all for exploring new locations on foot, but if you only have a small window of opportunity in a city doing some research before is a great idea. Here is an example looking at Brisbane Australia, my current city of residency. A spot that has had an image placed upon it has what is called a ‘pin’ and you can control the amount of ‘pins’ using the slider in the bottom left corner, the type of map (standard, satellite or a hybrid) and there are a bunch of other adjustable settings. As with any iPad app it uses the pinch and zoom function letting you see the entire globe or zoomed in all the way down to a single street. Here I did a custom search for ‘luke zeme’ and any images I have added the tag ‘luke zeme’ to will show up on the map at the level of zoom you are at… simply zoom out and you can search the entire planet again. Selecting an image will bring up a large format of it and a link to the user and image on Flickr. Here you can see a link to my shop on smugmug and my Facebook group. You can even click follow and it will update you of any new photos added by the Photographer. Below I’ve highlighted where you can find the little yellow man to drag onto the map ! When you drag him on to the map the program will take you into first person view and its not just a photo, you can look around ! Simply left click on the image and move your mouse around 🙂 You can also move up and down the path of the roads by clicking on the white arrow head on the yellow line of the path. Here’s an image inside google maps and I hope this helps to illustrate how powerful a tool it can be to photographers, granted it will only allow you to travel on roads but a tool you should have in your bag. I’ve put Flickr in here because if there is a place you are thinking of going to for photography, chances are someone has already been there first. Don’t be discouraged by this! because as I mentioned before you should always be trying to put your own spin on things anyway. So if you are heading to a location and you want to know some great places for sunset shots, go up to the search bar in flickr and do exactly that- search “Sunset Brisbane, Australia” for example. Images which have added the geo-tag (Brisbane) or the tags(Brisbane + Sunset) themselves added will all show up. I’ve marked on this image of my Flickr account below where it shows the geo-tag and also the specific image tags. I add geo-tags to my images on my PC using a free program called geoSetter (here’s the link). You embed all sought’s of information and tags into your image file with geoSetter including copyright information, your website and name for example, but most people just click on the map inside flickr and add the location there. Finally I’m putting in google search and again there is something here you might not be utilizing ! I’m just going to show you a way you can use it which will enhance your ability to find ‘great photographic locations’. So what you do is similar to what I showed you with Flickr but now you just use google search at www.google.com.au/ (use your local google search url). Search a place you are travelling to and search for example “hotspot locations Japan” (Im off to Japan in late October 2102, yay!!!). Now you don’t just use the list google gives you ! As photographers and artist’s we tweak everything ! simply go to the list on the left and click images ! After clicking images on the list you will be given 100’s of entries which you can continually scroll down through adding more when you reach the bottom. You can click on any image and head to the website it is from 😉 I usually right click- open in new window so that I can continue through the list. It is another powerful way of finding specific places that you may not have thought of and again planning ahead will save you time when you arrive at your travel destination. AURORA HDR for WINDOWS & MAC!!! 25% Discount on HDR Projects 5 Professional! 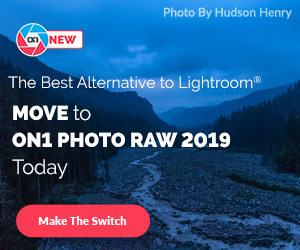 Luke Zeme’s 50 Best Premium Lightroom Presets- HDR!!! Join My Photo Newsletter & Receive FREE! Confirm your Newsletter Subscription to receive your FREE downloads. – FREE HDR Tutorial for Windows! I consent to Luke Zeme Photography collecting my details through this form.